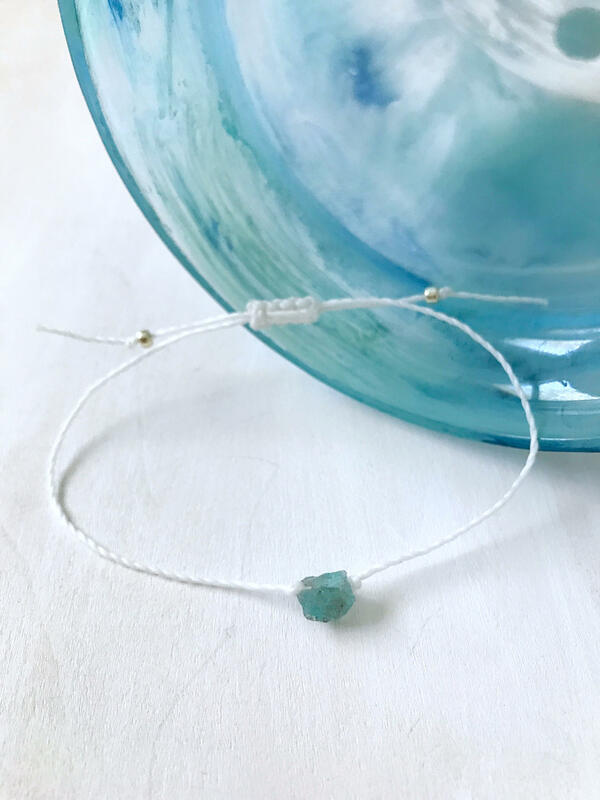 With its vibrant blue-green stone and contrasting white thread, the Apatite bracelet evokes imagines of the sun-drenched afternoons, endless white sand, and shimmering, crystal-clear waters of paradise. 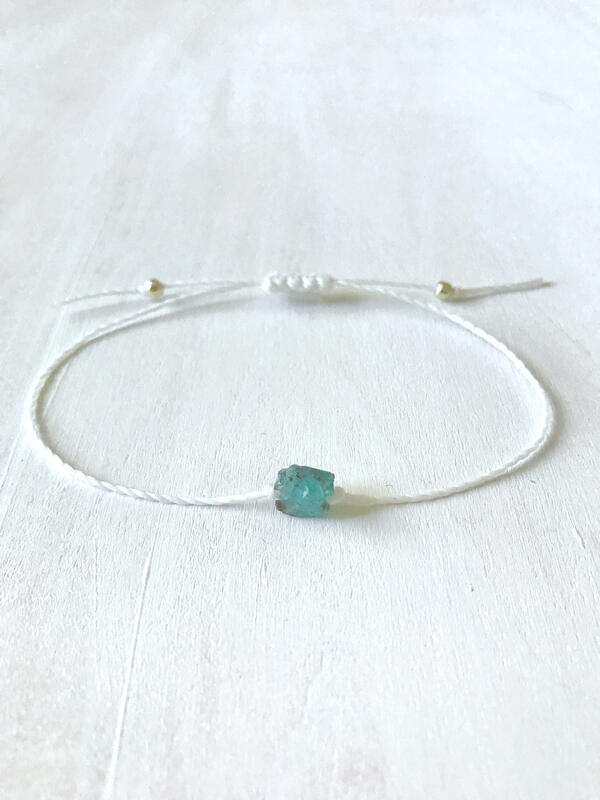 Fittingly, Blue Apatite is said to have an uplifting energy that raises spirits, encouraging a positive outlook and a hopeful attitude. 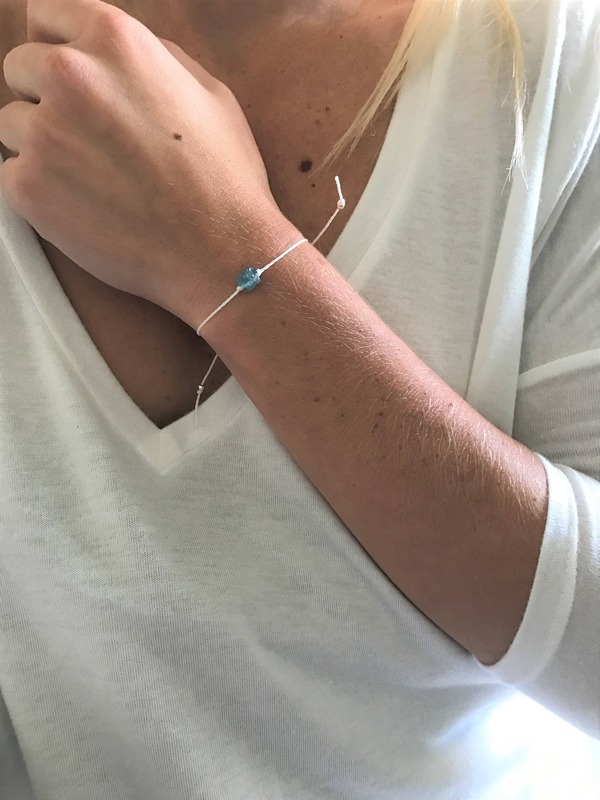 It is also believed to increase motivation and reduce irritability and emotional exhaustion making it the perfect gift for yourself and for others! 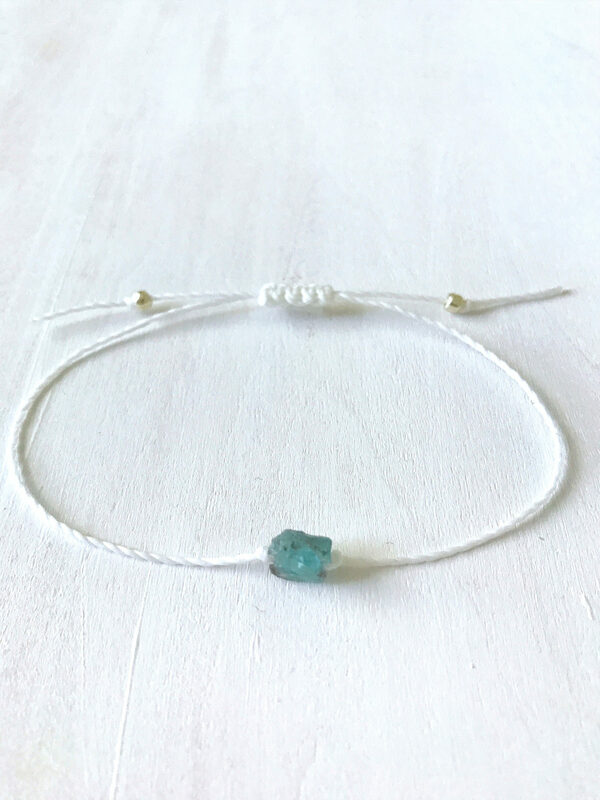 This radiant, head turning bracelet is made out of a mini hand-cut rough Apatite nugget stone and white Linhasita thread. 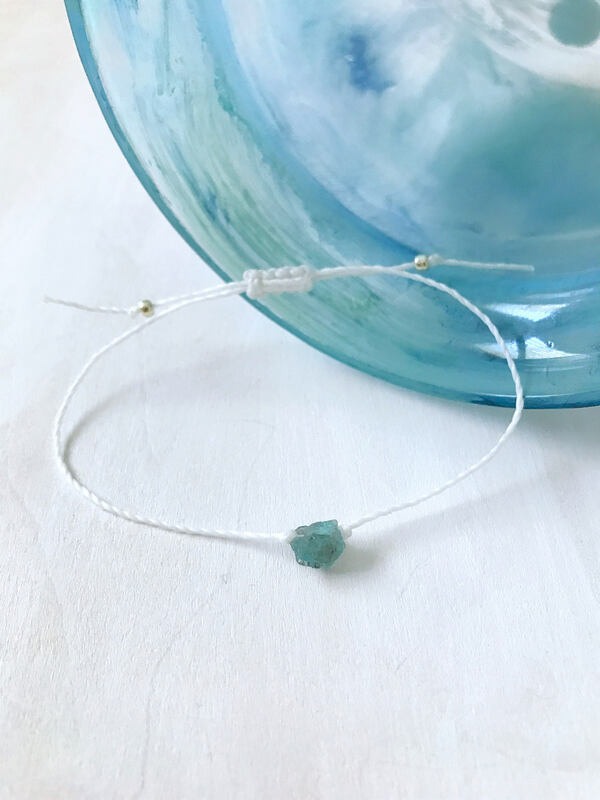 The stone is held in place with two knots and the ends are closed with two Toho Silver Seed Beads. 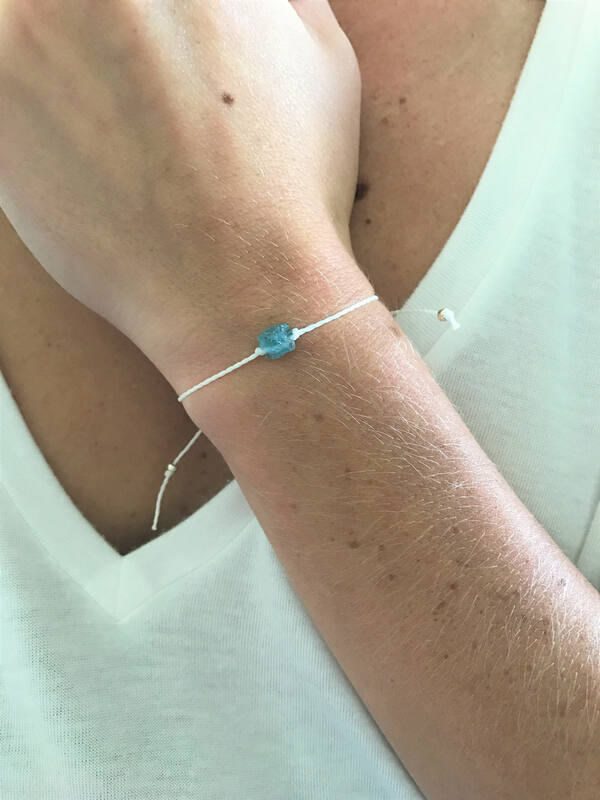 All items are handmade to order by me in the sunny state of Florida. I make and ship most items within 1-3 business days but please notify me when you place your order if you need something in a hurry and I will do my best to get it out that day! Linhasita thread is a high-quality thread that is waterproof, sturdy, and won’t lose its shape or color after normal wear. 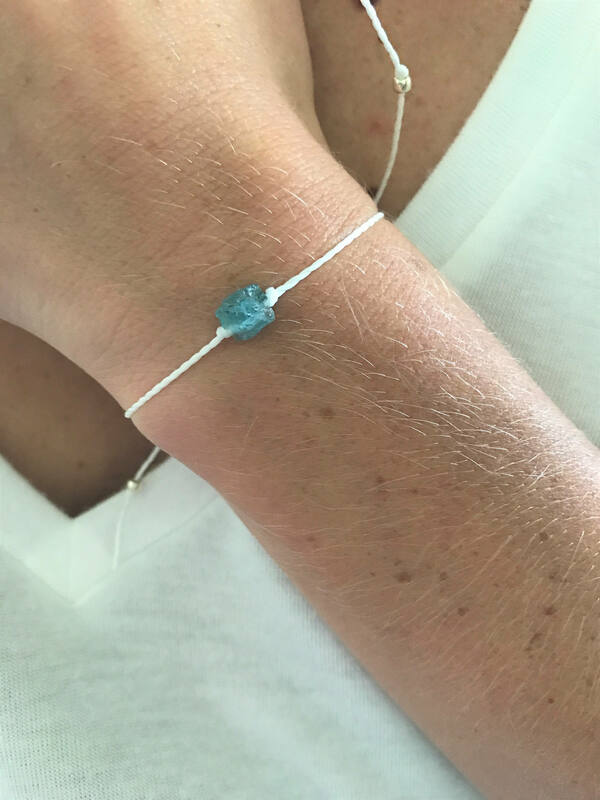 Your Apatite nugget is durable but can be sensitive to strong pressure, high temperatures and harsh household chemicals and cleaners so be sure to avoid exposing to harsh household chemicals (bleach, sulfuric acid etc.) and remove before exercising, playing sports or engaging in vigorous household chores. My bracelet is absolutely perfect. Just what I was hoping for! The packaging was adorable, the glitter and sand and sweet little note of encouragement. Thanks, Ashley, for a great quality piece! This item is so beautiful and the two days I have worn it to work I have gotten endless compliments!